One of the most challenging parts of adjusting to a new diet plan is, well adjusting. Making quick decisions about what to eat and when can be overwhelming, especially once you get too hungry. However, by having a clear meal plan laid out in advance, you’ll never stand in front of the fridge tempted to grab something that doesn’t fit your containers. 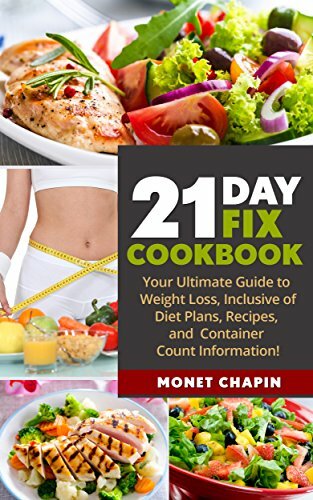 This meal plan I’ve created is designed to fit the 1500 – 1800 calorie 21-Day Fix Meal Plan and provide you with 21 day fix recipes. You can also scroll down to learn how to eat out on this plan! After all, realistically not every meal you eat will be at home. 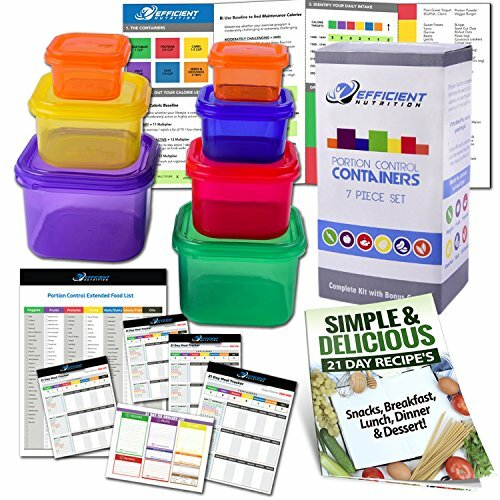 For each day, feel free to rearrange the order of meals and snacks to fit your schedule – the plan is designed to use almost all of your containers each day but overall, the container count balances over the course of the week. If you’re crunched for time, consider prepping some meals in advance. For more great snack ideas, most of the snacks for this meal plan came from the list developed by Sublime Reflection. To make your shopping a little easier and to keep things from going to waste, ingredients are used throughout the week so you can stay in your 21 day fix guidelines! Breakfast: Baked Omelet (Sublime Reflection) – With some preparation in advance this hearty breakfast will get your day off to a protein-packed start. Lunch: Slow Cooker Enchilada Soup (Potentially Lovely) – Depending on your schedule you can throw this in when you get up and have it ready for lunch. Substitute the chicken for a vegetarian-friendly alternative. Dinner: Chicken Stir Fry with Chinese Broccoli (Team Effort Fitness): This one comes together in a snap to soothe the hunger of even your pickiest eater. Great on busy weeknights. Snacks: Green Smoothie (Sublime Reflection): Options for experimentation are endless with this recipe. Make a different one every day! Cottage cheese with the fruit of your choice – So easy to put together, the protein in this snack will keep you full and happy until your next meal. Pumpkin seeds with fruit – Pumpkin seeds are loaded with countless health benefits – incorporate them into your diet whenever you can. Breakfast: Quinoa Waffles (Days to Fitness) – With smart, healthy swaps these waffles will make you forget all about the standard fare. Lunch: Fish tacos with mango salsa (Confessions of a Fit Foodie) – Fish is a fantastic choice for a quick and easy lunch – prep the fish in advance to make it even faster. Dinner: Buffalo stuffed potato with veggies (Sorey Fitness) – Pare these drool-worthy potatoes with your favorite steamed veggie side to be sure you get all your greens in! Snacks: Greek yogurt with berries – Fast, easy, and perfect as an after-school snack for little ones. Ham slices with cheese and pickle or veggies – Save your yellows with this snack. Breakfast: Glowing Green Smoothie Bowl (Beachbody Blog) – Substitute your favorite protein powder or use Vanilla Shakeology for this beautiful and delicious breakfast bowl. Lunch: Chicken Zucchini Noodle Caprese (Skinny Taste) – Once you try zoodles, you’ll be using them everywhere! This light lunch is great for work and will even impress guests. Dinner: Spinach and Colby Jack Stuffed Chicken Roll-Ups (Emily Goodman) – There is something about tasty things cocooned in a tender chicken breast that always catches my eye. Kids love it too! Snacks: Grilled Fruit Quesadilla (Seay Stanford) – This snack is sure to brighten even the most stressful afternoons. Kids will love helping you make and eat this one. Whole grain toast with cottage cheese and tomato – So satisfying and filling. Brown rice cake with almond butter and banana – Great for kids too! Prefer a different dinner? Try one of these 21 Day Fix Slow Cooker Recipes instead. Breakfast: Pumpkin Pie Oatmeal (Sublime Reflection) – A cozy and aromatic way to start your day. If you’re looking to save blue containers, cut out the nuts. Lunch: Chicken Fried Rice (Fit Possible Coach) – Reinvent your takeout favorite just in time for lunch. I promise you won’t be able to tell this isn’t from your neighborhood restaurant. Dinner: Asian Stir Fry (Momma Fit Lyndsey) – Reinvent leftover veggies from lunch into a one pot meal perfect for dinner for the whole family. Snacks: Apples with Peanut Butter Yogurt Dip – Mix ½ cup plain Greek yogurt with ½ cup peanut butter and enjoy. Kids will love this one too. Celery with almond butter – Use any nut butter you love to spice up this classic snack. Breakfast: French Toast Wrap (Lisahov’s Fitness) – Using a whole wheat wrap this recipe makes French Toast a great on-the-go option. Lunch: Steak Fajita Zoodles (My Crazy Good Life) – This salad version of your favorite fajitas is as stunning to the eye as it is your taste buds. Prep this one in advance to take to work. Dinner: Chili Cheese Fries with veggies (21 Day Fix Food) – Add veggies as a side or incorporate them into your chili recipe to be sure you get in all your greens for the day. Breakfast: Herbed Poached Egg Whites with Wheat Toast, Berries and Sautéed Spinach (Beachbody Blog) – Take your time on your weekend mornings to savor your breakfast with family and friends. This meal is perfect before a morning workout or even a lazy morning brunch. Lunch: Avocado Chicken Salad (Sorey Fitness) – Swap avocado for mayo and your heart will thank you all day. Irresistible! Dinner: Meatloaf Mexi-Muffins with veggies (Team Effort Fitness) – Something about these smaller sized meatloaves makes them perfect for portion control. Pare with your favorite roasted veggies to complete your meal. Breakfast: Greek Yogurt Baked Oatmeal (Sublime Reflection) – You might mistake this for dessert; serve with an extra dollop of Greek yogurt to maximize your morning protein. Lunch: Green Bean Casserole (Pureatz) – This lightened up version of classic green bean casserole will become a new staple for your family. Dinner: Turkey Taco Zucchini Boats (The Fit Housewife) – Join your family for taco night without feeling left out. Leftovers make a terrific snack. Snacks: Portobello Mushroom Pizza (Focused on Fitness) – These luxurious bites are great for a snack or appetizers at a dinner party. Plus, they come together in a flash. Banana Roll-up – Spread almond butter on a whole grain tortilla and add banana sliced anyway you like it. Looking for more recipes to add in your meal plan this week? 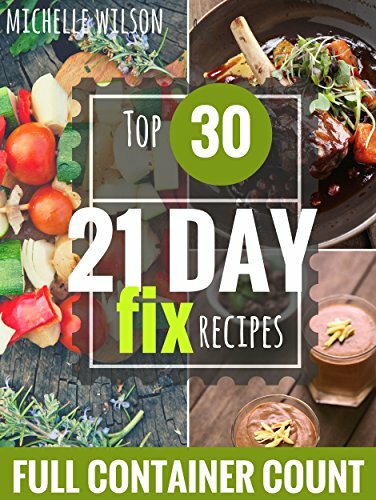 Try the 21 Delicious Recipes for your 21 Day Fix, 21 Day Fix BreakFast Ideas, or 21 day Fix Lunches. Each one of these are curated with great recipe ideas so you can build your own meal plan that is right for your week. 21 Day Fix Guidelines and tips for eating on the 21 Day Fix, your new lifestyle that will make you happier and healthier without the stress! So you washed your containers and made it through the first few days. Maybe, you’re feeling inspired and excited to see your results. Or possibly you’re wondering how you can keep up with all these containers for two or more weeks. 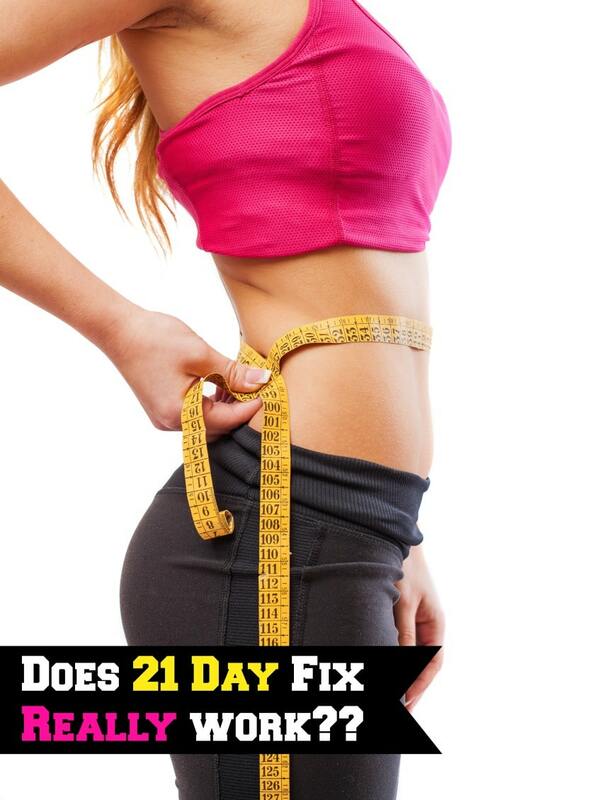 Remember, the 21 Day Fix does work, and it can work for you too. By carefully following the eating plan you will lose weight, but it does require some attention and planning. However, armed with some tips and tricks, you’ll be well on your way to a new version of you. The eating plan is designed to give you a calorie-reduced but balanced diet that provides your body all the fuel it needs to shed weight and get fit. The plan focuses on whole foods, which provide the greatest nutrient value, and uses the containers to guide you towards healthy choices automatically. When you follow the program, you’re eating primarily fruits, vegetables, and lean proteins. These provide your body a wealth of important vitamins, minerals, and amino acids as well as the right balance of macronutrients. Carbs, healthy fats, seeds, and oils are included to balance the diet but without adding unnecessary calories. This ratio provides optimal support for your strength and cardio exercise while managing your caloric intake, effortlessly. 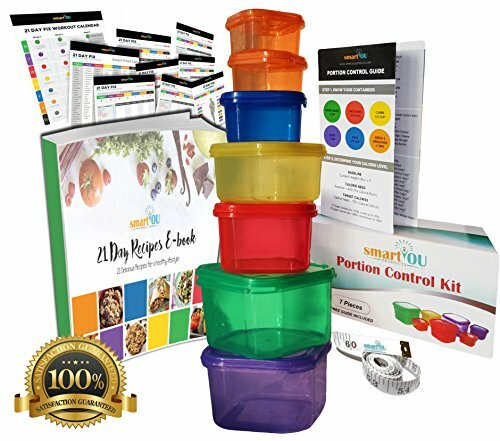 The best part about it is that unlike other diets, that love to tell you what you can and can’t eat, virtually nothing is off limit on 21 Day Fix. Fit it in the appropriate container, and you’re good to go. As we have probably all figured out, deprivation dieting is a disaster waiting to happen. Those healthy habits are one evening out from falling apart when you’re suddenly confronted with these luscious, tempting foods you’ve been avoiding. The key to 21-day fix is eating the right balance of foods and spreading your containers out throughout the day to keep you full and satisfied and less susceptible to making mistakes. 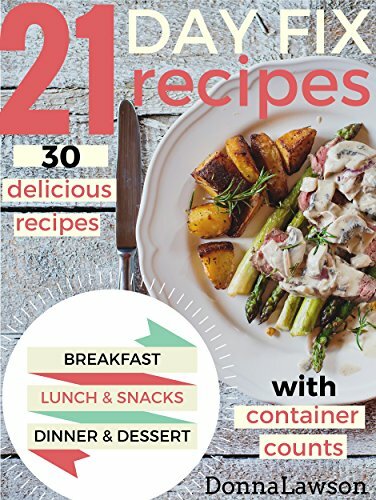 Few of us think of meals as built around foods in separate containers – we like to combine and mix – techniques that might seem incompatible with the 21 Day Fix meal plan, at first. 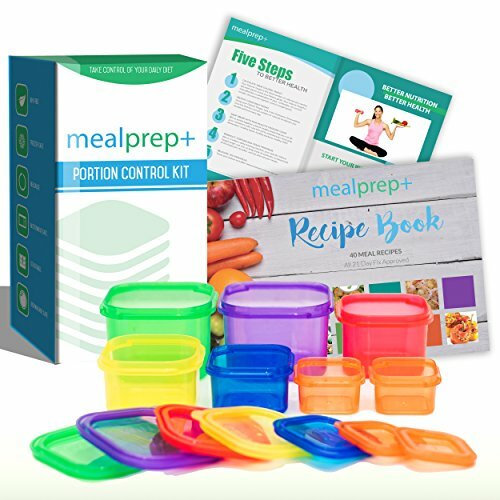 However, by breaking down recipes into their food components and using your containers as a guide, you can easily combine foods to create delicious and healthy meals your entire family will love. To be successful, rethink recipes in terms of the components of the dish and use your containers to measure food quantities. So, if you want to make pasta salad, consider the ratio of pasta to other ingredients, beefing up veggies and lean proteins, while going lighter on sauces or dressings. Choose a portion that contains more vegetables than pasta. 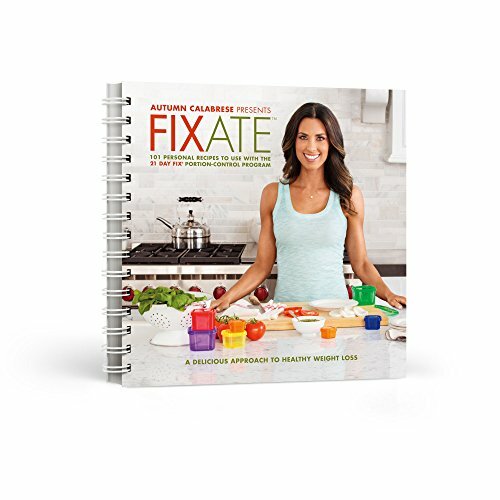 If this sounds complicated or if you want more guidance, check out the cookbook, Fixate , written by the creator of the 21 Day Fix, Autumn Calabrese. She provides loads of great recipes that are easy to create, taste great, and keep you on the plan. As I’m cooking for the entire family, including the kids, this is a great way to rethink meals in general. I tend to get in a rut where I’m cooking only what they won’t fight me about, so I tend to sacrifice the veggies. Using the containers as a visual reminder of what foods are important for them AND me, I can rework their favorites in a more fix-friendly way. Eating out when you’re watching your diet is difficult, regardless. Focus on the components of the dishes. You’ll be best off with meals that are predominantly veggies and grilled proteins – ask for sauces or dressings to be served on the side, and watch those carbs! With some careful menu reading and a bit of help from your server, you can 21 Day Fix for your evening out as well. Also, don’t necessarily feel safe eating a big salad or a “light” menu item – salads at restaurants often have as many or more calories as entrees and hide secret diet pitfalls. Don’t be afraid to ask for dressings on the side, grilled instead of fried meats, and to cut out those sneaky sources of fats and oils. Restaurants should work for you rather than against you! Try this sample meal plan and grocery list by The Fitness Focus. If you follow the program, closely and carefully, there isn’t really any reason why you wouldn’t lose weight. The diet is based on a vegetable foundation which makes it easy to feel full and cut calories overall, while significantly boosting the incredible array of vitamins and minerals veggies offer. It’s essentially a diet of moderation but uses super important visual cues to help you understand how much is enough and how much is too much. 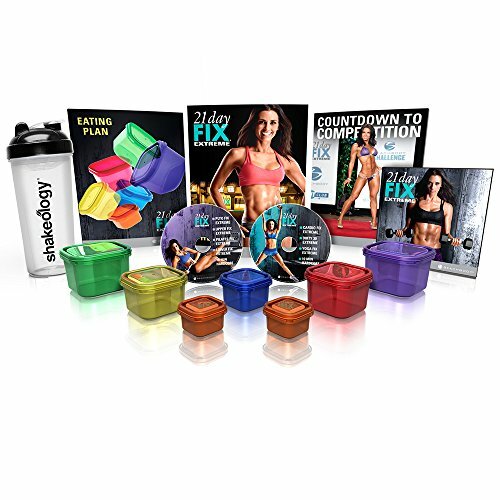 You will be leaner and healthier at the end of your 21 Day Fix calendar, and I think you’ll be amazed at what happens when you rethink your food and get your sweat on. Looking for more information? Click below!